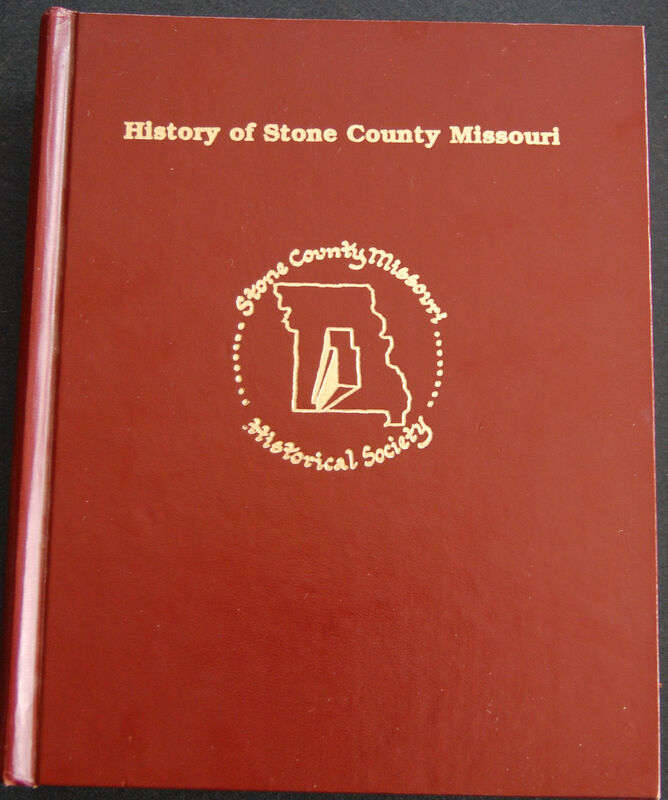 I doubt there is anyone on the planet, who has never heard the old saying, “Don’t judge a book by it’s cover.” That saying is probably wise advice for movies as well when it comes to video box covers and DVD jackets. At Robinson’s Place in Tacloban City, Republic of the Philippines, I was thumbing through the various Video Compact Disc to select American movies to buy. It had become a Friday night ritual, which meant microwave the popcorn and introduce my Filipino nieces and nephews to some of the greatest American horror movies ever made. I picked the movie out of the VCD and looked at the cover. Linda Blair looked back at me. Richard Burton and Louise Fletcher’s photos were on the bottom of the cover. In my youth, I had watched scores of Richard Burton films. Louise Fletcher is one of those actresses, when I see her name or photograph associated with a film I know there is about a 99 percent chance that I am going to enjoy the TV Show or movie. I love movies. I couldn’t believe I had let a sequel to The Exorcists get by me. Then, I watched the movie. 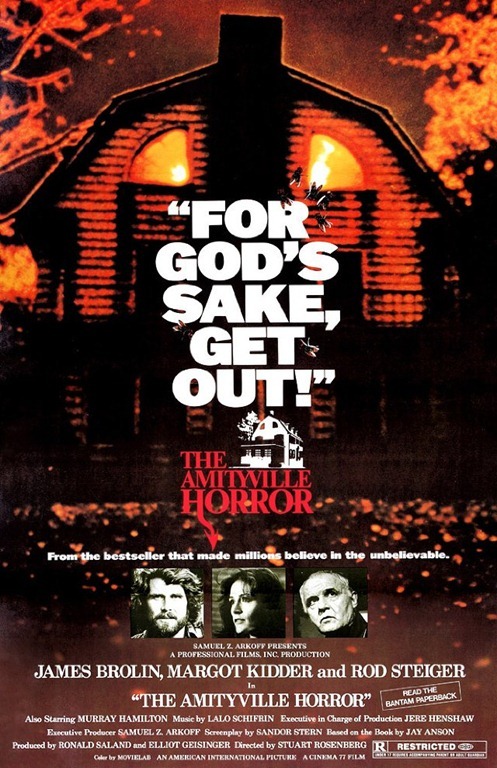 Suddenly, You are Rod Steiger in the role of Father Delany, in “The Amityville Horror” movie of 1979. The scene where Don Stroud in the role of Father Bolen, the young Vietnam vet, who returns to be a priest, has one knee on the bench and keeps a foot on the ground and kind of leans on the statuesque bench. Steiger as Delany just sits on the bench like a knot on a log. He looks like a statue in a priest’s uniform. I always admired the concentration that it took for Steiger to stare out in to space while Stroud in the role of the young priest was talking to him. I imagine in that scene that It is almost like Steiger is watching a TV and ignoring the people around him. As if “Exorcist II The Heretic” is playing on the TV off screen. He stares through the movie on the TV screen, but daydreams what it would be like to face a real demonic presence. The Steiger and Shroud scene could be used for an “Exorcist II” to suggests that a successful Exorcist priest comes out of retirement long enough to instruct and help him select two younger priests to become professional, motivated, determined Exorcists. Steiger and Shroud should have been hired to play the veteran Exorcist and the young Exorcist, who are called in by her doctor to see if it was remotely possible she could be “repossessed possessed.” Then, of course, Burton as Father Lamont would have had to have flown in from the Vatican to make sure that an American exorcism would not cost any more priest’s lives. 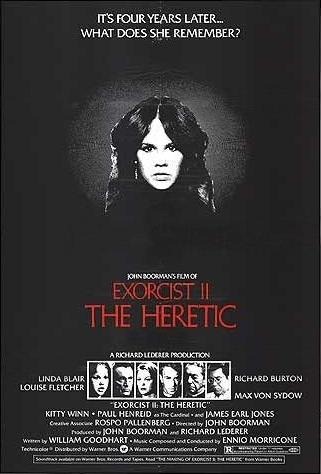 The actual “Exorcist II The Heretic” movie could have been entitled “Exorcist II The Lunatic” and been the four years after Regan MacNeil, suddenly, has a relapse and is hospitalized in a sanatorium. “Exorcist II The Heretic” proves you can have a magnificent cast of actors, but, you should not have to rely on the actors to ad lib ever scene and line of dialogue in the movie. A movie still needs a script. If you did no research on this film, you would swear it had no script. God Bless The Screenwriters Of America ! The woman bursting into flames in an opening scene is a clear indication of where this movie goes – “up in flames.” Have a fire extinguisher close to your DVD player. “Exorcist II The Heretic” is obviously a movie in search of a script – any script. The movie seems to get caught up in psychiatry and “The New Age Movement” and can’t decide which to choose. Louise Fletcher in the role of Dr, Gene Tuskin shows Regan a hypnotic machine gadget. In a later scene, Regan teases a friend by faking the famous Uri Geller “spoon bending” that had people pouring through the shelves of bookstores for books on ESP and kinetic energy in the 1970s. Regan and Dr. Tuskin slip on headbands to connect them to the skinny strobe machine, which looks like a low-budget 1970s version of a 1950s electroshock therapy machine. Then, Richard Burton in the role of Father Philip Lamont slips on Regan’s headband and slips into the chair. What seems to have been a hypnotic exercise goes from a mind-sharing to a soul-sharing event that might of worked with audiences in the 1970s, but, I doubt it. Max von Sydow in the role of Father Lankester Merrin and Karen Knapp in the role of Linda Blair’s double dons the Pazuzu demon makeup appear in a metaphysical overlay to suggest a memory; the technique sort of works, but, makes the screen seem crowded. In my opinion, Burton, Fletcher and Blair were all better than this movie, The actors and actresses in this move all earned every single cent they were paid for this movie. Burton, Fletcher and Blair all did the best they could with their characters and the characters became better than the movie. Father Lamont gets handed a picture and suddenly the priest has this “Psychological Epiphany” that seems closer to a mental breakdown,which gets talked away by Father Lamont and Dr. Tuskin. By now, obviously, one of the writers must of figured the demon, Pazuzu would have immigration problems with US Customs and tries to smuggle him into the film using “The Magic Grasshopper” – a giant grasshopper dream film sequence. Actress Kitty Winn in the role of Sharon Spencer is explaining to Father Lamont how the Georgetown house is full of bad memories for her. Father Lamont suggests that she talk to a priest or a psychiatrist and she grumbles back at him that he is one. Father Lamont’s, “I’m not here for you,” response is just a basic statement of fact, but, the fact that he is dressed like a priest makes the statement seem cold-blooded. “The Magic Grasshopper,” the big grasshopper seems to show up whenever the story needs to move along. A young James Earl Jones is also better than the movie he appears in. He shows up on screen like a young African village medicine man, wearing a ridiculous hat that although it is suppose to be tribal looks like something at the bottom of a clearance bin of lades’ hats. Fortunately, the quick cutaway to the growling leopard rescues your eyes quickly. Regan is suppose to be still recovering from her bout with the demon four years ago. Then, suddenly, she is a mental social worker. She talks to a little girl, who supposedly hasn’t said a word for a long time. Of course, once Regan starts talking to the girl it becomes Mr. Spock’s “Vulcan mind meld” without the hand gesture or any special effects to show how Regan is getting into the little girl’s mind. Suddenly, the mother arrives and “Hallelujah ! It’s A Miracle !” I kept waiting for a tent revival preacher in a sweat stained shirt to come rushing in, waving his Holy Bible and shouting for the brothers and sisters to open their hymnals and join in a song. Father Lamont finds “the boy”, Kokumo, who is James Earl Jones in the guise of a village medicine man, wearing a giant grasshopper headdress The surprise is the grasshopper headdress looks more realistic that the earlier hat. Father Lamont falls down and wakes up in a scientific research facility where James Earl Jones is now the educated scientist, Kokumo, in his dapper white lab coat, who takes pleasure explaining his research into grasshoppers. “Exorcist II The Heretic” is not a sci-fi movie like any of the “Star Trek” movies, so the “Borg collective one community mind” idea doesn’t come off in the movie. There are no special effects to suggests that they are in sync at any time. “The Mind Sync” idea might be a metaphysical or supernatural or New Age concept that I missed in my years of research, but, I doubt it. My guess is the Father Lamont and Regan “mind sync” is a shot at “telepathy” and no one really could figure out how to show it on screen. When everyone finally arrives at Georgetown, it seems the movie finally realizes it is suppose to be a horror flick and a supernatural thriller. I was tempted to give this movie One Star, but, the truth is all the actors and actresses in this movie worked too hard to try get this movie up and running. The second star is for the final minutes and final scenes of the story, which survived to prove at least a portion of a script made it on to film. George C. Scott is one of those great American actors that I admire and respect. Born in Wise, Virginia, October 18, 1927, he was definitely “A Force Of The Universe.” He came at Life head on. He was a smiling man, whose brash, vivacious approach to Life could best be described as a United States Navy battleship or aircraft carrier rushing through the oceans of the world and brushing aside any boats naive enough to get too caught up his wake. I have never seen a movie, where George C. Scott took on the role of a wimp. He was too independent and determined in life to ever portray a powerless victim scared of his own shadow. The wimp roles of life are better suited to politicians not successful actors, directors and producers. George C. Scott before he ever became an actor served his nation. In 1945, he raised his right hand and became a member of the United States Marine Corps. On active duty at 8th and I Barracks in Washington D.C,,he served in uniform until 1949, when he returned to civilian life and went to the University of Missouri. He graduated with a degree in Journalism. His choice in life to become an actor, put him on stage at Broadway and in front of film cameras around the world. George C. Scott’s hard work and devotion to his profession always brought his characters to life on film. Americans and other people will remember George C. Scott for a variety of roles. I remember George C. Scott in the role of United States Army General George S. Patton Jr.
Scott’s Marine Corps service made him a natural to play the role of a military commander. Scott’s “I live Life on my own terns attitude”, made him the only man in America or the world, who could of slipped on the United States Army low quarters of “The General” and brought him “Back To Life” on film. American and International newspapers around the world published the articles about General Patton’s “hard charging approach to life.” Patton, a Scorpio, born November 11, 1885, wasn’t scared of God or Satan. General Patton would stand toe-to-toe with God or Satan and look them square in the eye. 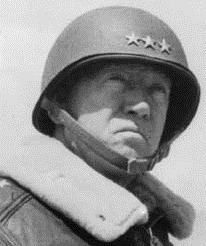 United States Army Signal Corps Photo of Lieutenant General George S. Patton Jr., 1943. (pictured before his promotion to full General). 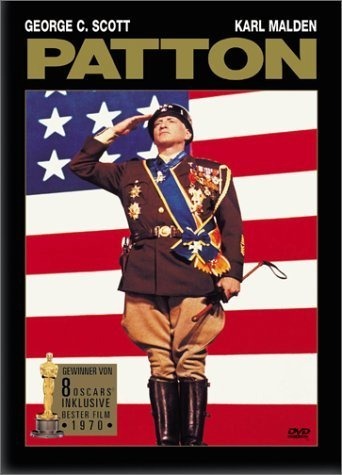 General Patton’s courage in peace and war always made him a hero to his troops and a “discomfort” for the military and civilian leaders in the Chain Of Command above General Patton. I did not use the term “superiors” because sometimes in Life there are people, who have no “superiors” because they stand too tall and proud in Life that anyone who stands near them are simply ignored or forgotten. Only a United States Marine, like George C. Scott, would of understood, General Patton’s “Devotion To Duty, Honor And Country,” only a Marine like George C. Scott would of understood that General Patton would move mountains and cross oceans to achieve a military objective and to free people from an enemy. During World War II, the United States of America and the Allies had three magnificent US Army “Weapons Of Mass Destruction” General Dwight David Eisenhower, General Douglas MacArthur and General George S. Patton Jr. The Allies had scores of brilliant and brave men and women in uniform, who always succeeded. But, three American generals knew World War II would change the lives of people around the globe. Generals Eisenhower and MacArthur were aware that while military leaders must press forward to overcome the enemy, General Eisenhower and General MacArthur understood the need to keep civilian leaders informed and to outline the importance of the actions to the International News Media. General Patton understood the enemy had to be defeated at all costs. General Patton would leave the government politics to General Eisenhower, General MacArthur and the other Allies military generals, admirals and commanders. 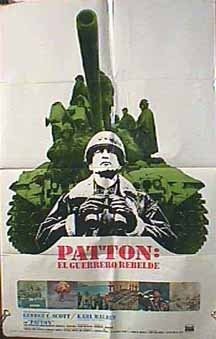 General Patton would pay attention to the International News Media only if they were writing stories and shooting film to tell of the exploits of himself and his troops in defeating the enemy. 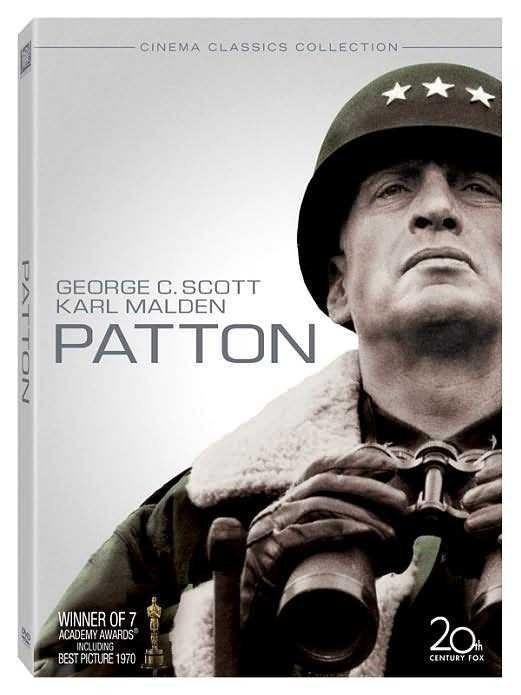 Actor George C. Scott is the only man, who could of brought General Patton to life on film for future generations of global citizens to understand. Scott, a Libra, who could be considered born on the Cusp of Scorpio, knew how to “Balance” his approach to life to get things done. George C. Scott always seemed to smile in public. His public persona of being able to laugh and still move ahead in a determined manner to achieve something must of kept people around him in awe. Like General Patton, George C. Scott always seemed in news reels, film and photos to be one of those people in life, whose presence overwhelms the people around them and keeps someone like General George S. Patton Jr., and George C. Scott in the center of the spotlight, regardless where they went in the world. George C. Scott knew how to translate his natural charisma into a subtle energy life force that always had to be acknowledged and respected because it could not be ignored. He had a “radioactive presence” that always came across in his films and television shows. The Stephen King novel became a movie. Drew Barrymore in the role of Charlie McGee is a little girl, who can use her mind to cause people and objects to burst into flame. Naturally, a secret government organization wants to keep the little girl under their control where they can perform tests and study her. The insidious mythical organization turns to John Rainbird to try to get close to the child. Of course, the character Rainbird is an Evil man. When an actor has the charisma, charm and stage presence to create a bad guy character that you want to admire, then, you have an actor, actress or person who really can reach out to people in their minds. In the movie, Rainbird is a bad guy; but the way George C. Scott plays the villain; it is difficult not to respect the bad guy. Since George C. Scott is one of my favorite actors, I seldom overlook any of his TV shows or movies. He is one of the stars in “The Exorcist III.” I do not remember ever watching the movie, so I can’t review it at this point in time.